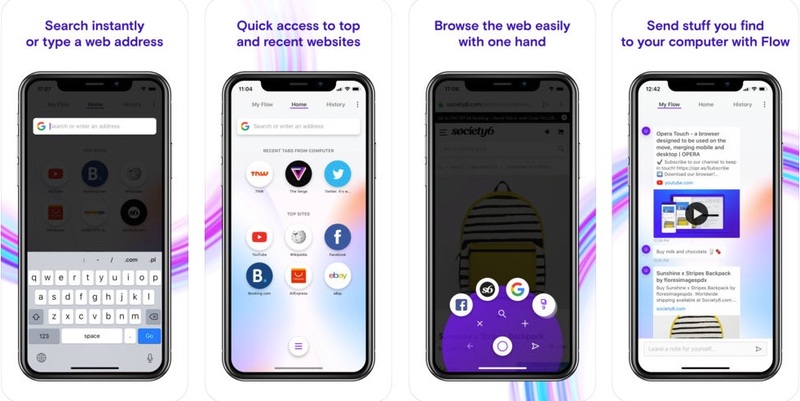 Opera on Tuesday released Opera Touch, a “light, fast and secure” browser the company says is the perfect browser for use on all-screen devices like the iPhone X, iPhone XS, and iPhone XS Max. 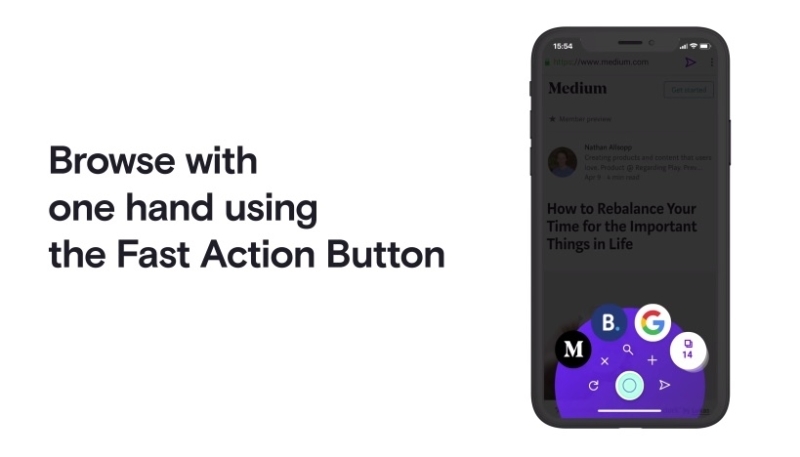 The app is optimized for one-hand use, with a “fast action button” that is always available on the screen to offer access to the app’s “Instant Search” feature. Users can also use the button to switch to the most recently accessed tabs, reload or close a page, or send the current tab to your computer. Use Opera Touch on your iPhone together with your Opera computer browser for seamless web browsing across your devices. It’s operating system independent, so you can connect your iPhone with your Mac, Windows or Linux computer. In fact, connecting your iPhone and other devices with your computer browser has never been easier. Just start the Opera computer browser and scan the QR code displayed there with Opera Touch. No login, password or account needed. You can now send links, videos and notes to yourself with a single click and they will be displayed across your devices.